ICAR Syllabus 2018 for students seeking admission to Bachelor degree programmes in agriculture and allied subjects (other than Veterinary Science) in Agricultural Universities in the academic session 2018-19 has been provided below. ICAR Exam 2018 will be conducted by Indian Council of Agricultural Research on All India basis for admission in UG, PG and JRF courses. The exam gives admission to eligible candidates who have passed 10+2 level examination or at present studying in 10+2. 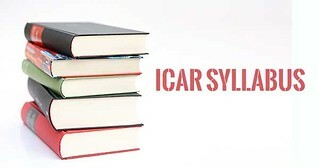 ICAR Syllabus 2018 is important for the students going to appear for ICAR UG and PG examinations which will be conducted on 22 and 23 June 2018. In this page, we have given the ICAR syllabus for UG exam and ICAR syllabus for PG Exam. The students can download the syllabus pdf and also see the topic wise syllabus for the entrance exam. The candidates should go through the ICAR Syllabus 2018 and exam pattern before preparing for the exam. The subject wise syllabus for the undergraduate course is given in the table below. 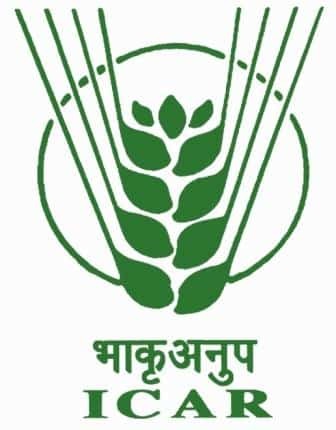 The candidates are advised to go through the whole syllabus of ICAR. Candidates can find the topics asked in each subject as it is also mentioned in the table. The ICAR Syllabus 2018 for AIEEA UG is given below. Candidates need to scroll down for the complete syllabus of Physics, Chemistry, Biology, Mathematics and Agriculture. The ICAR syllabus for the postgraduate course is given below. The candidates can find the complete syllabus including the subjects and their units. Candidates are advised to go through the whole syllabus. If the candidates have any queries for ICAR Syllabus 2018, they can write to us in the comment section below.